Where Are The Desktop SSD’s? I have a Compaq desktop PC that’s a few years old that is handy for tasks such as doing taxes or writing articles with. Unfortunately, it came with Windows Vista. More than a year ago I installed an inexpensive 128 gigabyte SSD in it. The SSD sped things up dramatically to the point where Vista was actually usable. To be honest, apart from being a bit of a resource hog, Vista has been quite stable on this machine. While doing my 2016 taxes I received an on-screen Microsoft notification warning me that the Vista “End of Life” date is April 11, 2017. That presented me with a dilemma. Should I pay for the upgrade to update the Compaq to Windows 10? Or, should I just replace the machine with a newer model that came with Windows 10 preinstalled? If I were buying a new machine, I would insist on an SSD. Unfortunately, after a bit of looking, it seems that desktop computers with factory-installed SSD’s are as rare as hens teeth and if they are offered at all they tend to be on the pricey side. The other problem is that the old LCD monitor that’s attached to the Compaq is VGA only. I would have to also have an HDMI to VGA adapter unless I wanted to replace a perfectly functional monitor. PC manufacturers complain that PC’s just aren’t selling very well. Have they ever thought about the fact that the models they are offering for sale tend to be mediocre? How about offering a $500 desktop tower that has a reasonable processor, a reasonable amount of RAM, and a 128 or 256 SSD? In my opinion the SSD offers one of the biggest performance boosts of any upgrade ever, and yet PC manufacturers seem to be mindlessly failing to utilize it to excite consumers with. I’m afraid it doesn’t make any sense. Why should the consumer get excited about machines slowly booting from spinning hard drives that offer performance that is, from a perception standpoint, not that much different from the Windows machines on sale in the same stores a decade ago? The only excuse for the lack of SSD-equipped desktop PC’s that seems to be offered is that customers “expect” one terabyte or larger drives on which to store massive amounts of pictures, music, etc. I don’t know if that is true or not. Personally, I stopped storing my stuff on my computer hard drives starting upwards of three years ago. I use a network-attached, Internet-savvy Western Digital MyCloud drive to store all of my digital stuff on. I also employ multiple inexpensive large spinning drives as redundant back-up drives. All of my 8,000 plus pictures are additionally stored with Google Photos for instant access to every picture I’ve ever taken right from my phone. I use my computers as creation and manipulation tools and NOT as mass storage devices. In the end, I opted to go the cheaper route and buy a copy of Windows 10. It came on a USB thumb drive. It installed just fine on the Compaq. Everything seems to work, with the exception of an old Canon scanner that Canon offers no Windows 10 driver for. The loss of the Canon scanner is not a problem since my HP all-in-one WiFi printer can handle any flatbed scanning needs I might have. It did a large Windows update, and I installed a couple of things such as Dropbox and TurboTax 2016. The Compaq won’t win any speed competitions, but it’s poised to continue to do chores such as taxes until October 14, 2025, Windows 10’s scheduled end of life date. By then it might be time for a new computer. 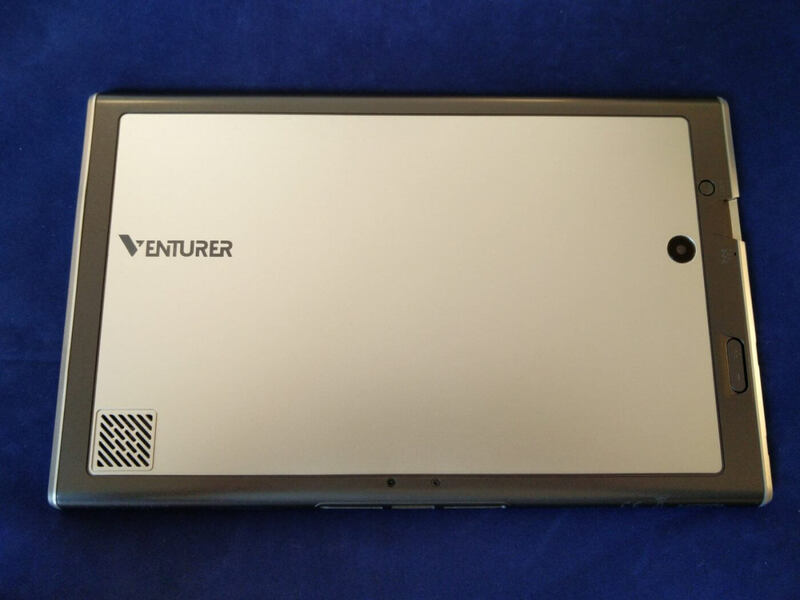 Less than a year after launching their first foray into the market, the team at Venturer have given their 2-in-1 Windows notebooks a quick refresh and adding an “S” into the product name. Consequently, on review here is the EliteWin S 11KT, the big brother to the BravoWin S 10KR, and these new editions are priced at an additional GB£50 over the original models. Let’s take a look and see if the new ones are worth the extra cash. As before, there’s not much between the BravoWin S and EliteWin S models other than the size of the screens, which are 10″ 1280×800 and 11.6″ 1366×768 respectively. 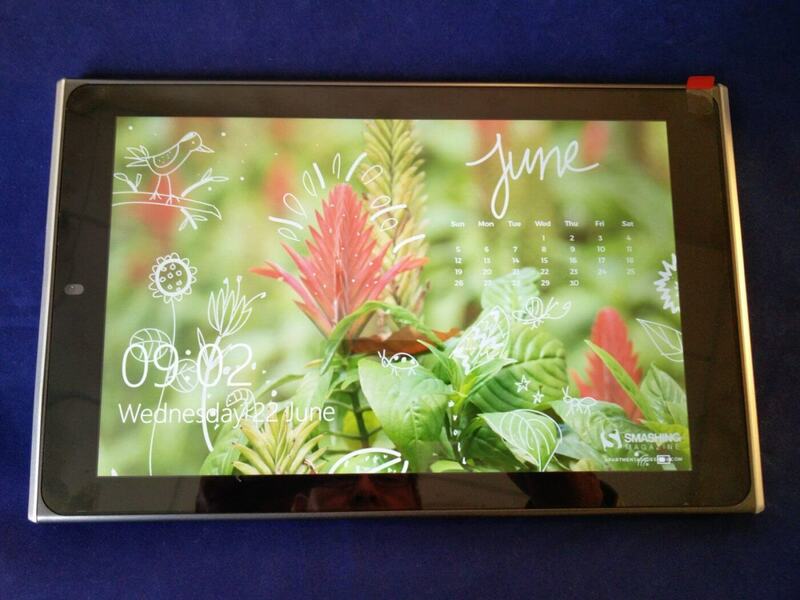 Both are IPS screens and at 11.6″, it’s a big tablet. The good news is that the bigger screen of the EliteWin S brings the benefits of a larger keyboard, which was my main gripe about the BravoWin when I reviewed the previous model. This time round, the bigger keyboard suits me much better, so it’s a good first impression. As a hybrid, the EliteWin S comes in two pieces, namely the screen and the keyboard, which come together by slotting the screen into a hinge on the keyboard. 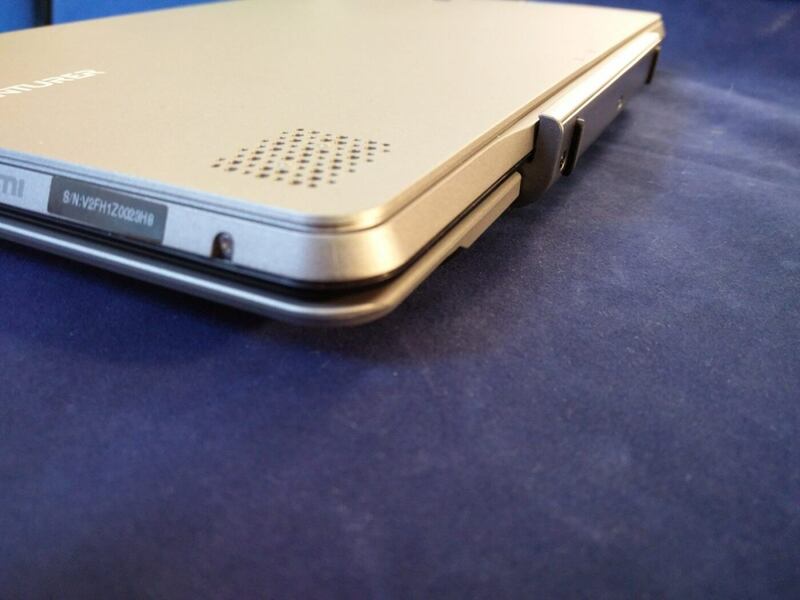 The overall dimensions are roughly 30 cm by 19 cm (at the hinge) by 2.7 cm when closed up with a bit of an air gap between the keyboard and screen, though it tapers towards the front. The tablet itself is 11 mm thick. The screen can be positioned both facing into the keyboard or turned round for alternative viewing positions. 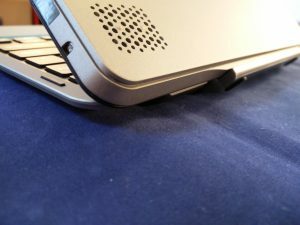 Opening the EliteWin as a notebook, the hinge rotates downwards to raise the rear of the keyboard up for a slight slope. Two rubber pieces on the hinge protect the desk surface and while the keys on the keyboard are quite small, they do travel nicely. There’s a small button-less touchpad at the front too where double tapping on the left and right side of the touchpad simulates the mouse buttons. It takes a little getting used to without any feedback. The styling is much improved with the this iteration. 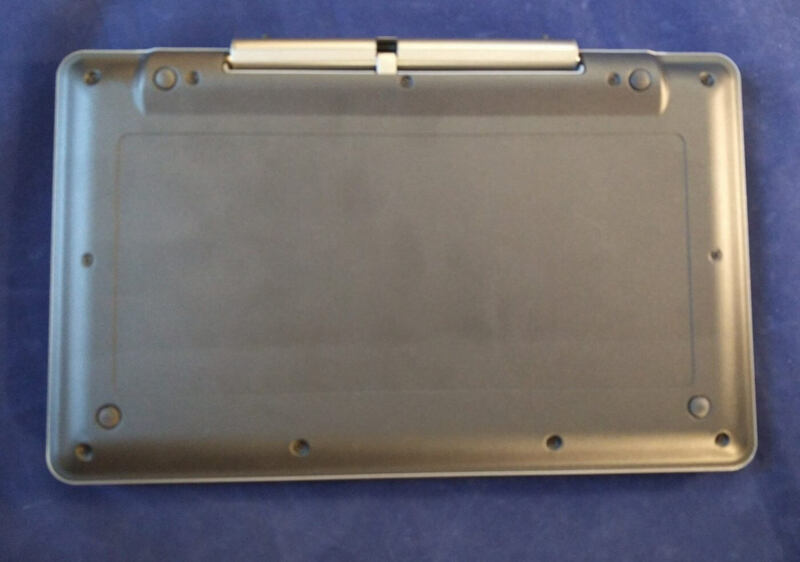 Corners are rounded off and there’s a certain Surface-esque trapezoidal shape to the tablet section. Additionally, the flat surfaces are covered in a soft-touch exterior which is surprising in the first instance, but is much grippier than the usual metal or plastic. 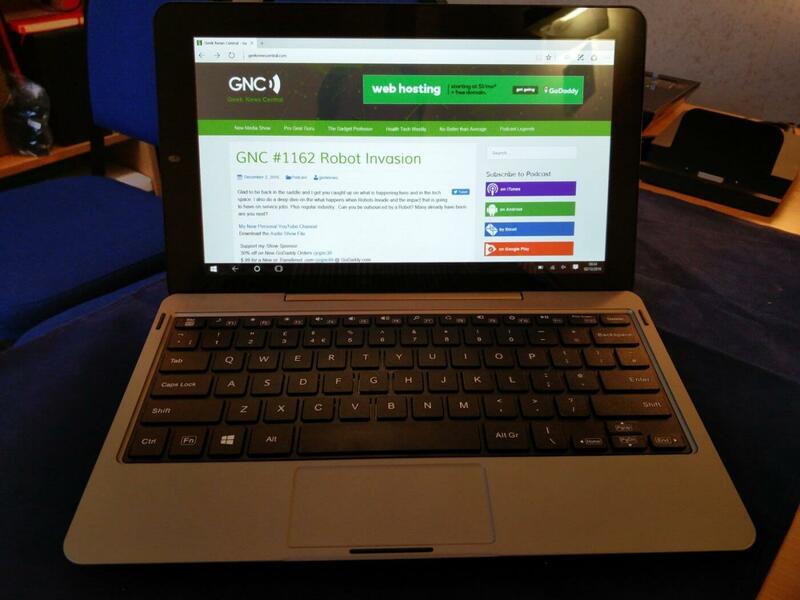 Coloured in gunmetal grey, the tablet looks much better, though the underside of the keyboard could do with a bit more styling and a matching finish. Looking over the ports, there’s a microphone hole, HDMI mini, micro SD slot, DC power in, micro USB port, 3.5mm earphone, power on/off button, USB 2 port and Windows button. The EliteWin S can be charged both via the micro USB and the DC power in, with a PSU supplied in the box. On the back of the tablet, there’s volume up / down controls and camera. There are still no USB ports on the keyboard. In terms of build quality, it appears to have improved. 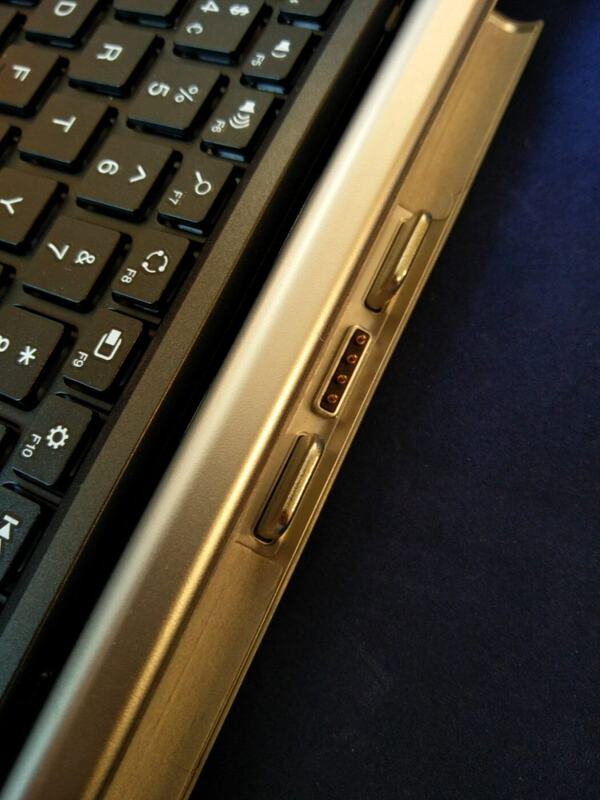 The keyboard and keyboard hinge seem quite sturdy, as before. 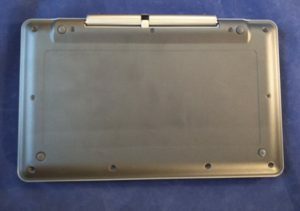 The tablet itself is plastic although with the soft touch cover and gunmetal colour, it gives a good impression of being metal. It’s pretty sturdy too though it will flex if you force it. Though it’s not the best small keyboard I’ve ever used, it’s certainly very usable and I typed much of this article using the keyboard. As before, the 11.6″ 1366×768 IPS screen is perfectly acceptable though it does continue to suffer a little from backlight bleeding around some of the edges. It’s most noticeable when the notebook is booting and the screen is black. It’s not something I’d worry about in day-to-day use, though. In terms of touch, I found the screen responsive and at times, I ended up using the touchscreen more than the touchpad. Specwise, the processor is an Intel Atom Z3735F quad-core clocked at 1.3 GHz (boosts to 1.8 GHz) with 2 GB RAM and 32 GB (28 GB reported) of storage. A 64 GB microSD card is included in the box as there’s only around 16 GB of space free on the C: drive. Windows 10 Home is installed, though it’s only the 32bit version despite the 64-bit processor. There’s 11n Wi-Fi and Bluetooth too. Performance is perfectly adequate for what you might call undemanding tasks – surfing the web, watching YouTube, playing Cut The Rope – and you can have a few apps open before switching apps slows it down. Obviously this depends on the apps you are using and the EliteWin S is no Surface Pro 4, so adjust expectations accordingly. Regardless, I found it very usable. Battery life is rated at 8 hours and I got over six hours one day without completely exhausting the battery. 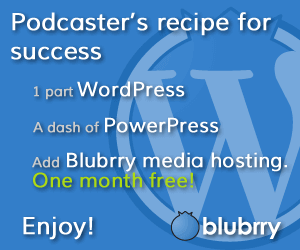 However, it is possible to burn through the battery much quicker if you are streaming video. The 2 MP cameras are a bit disappointing (tablet cameras usually are) but in an improvement over the BravoWin, all the cameras actually worked with the standard Camera app. Cortana interaction is much improved too and she was able to hear me clearly, also unlike the previous BravoWin. Although I’m comfortable with Windows 10 as a PC operating system, I still struggle with it as a tablet OS. The tablet mode does help and the EliteWin S did detect the removal of the keyboard and pushed tablet mode for my approval, which was handy. The duality of Windows 10 is hardly the fault of the EliteWin, but it does make supporting the 2-in-1 nature of the device that little bit harder. As I come to the end of the review, readers might be thinking that this review is very similar to the review I did before…and you’d be right because there’s very little difference between the generations. Cosmetically, the EliteWin S is much improved over the previous generation, so while S might stand for Speed with Apple, S equates to Style with Venturer. So…. Question 1: is it worth an extra GB£50 for the newer model? Probably. The S model looks better, seems to be a bit more robust, has a soft touch finish and it comes with a 64GB microSD card. Question 2: Is the EliteWin S the best buy at GB£249? Harder to answer. There are definitely some competitors out there, even in the 2-in-1 space, and if you aren’t concerned about a detachable keyboard, there are a couple of options at the price point. In terms of personal peeves, there’s not much to complain about. 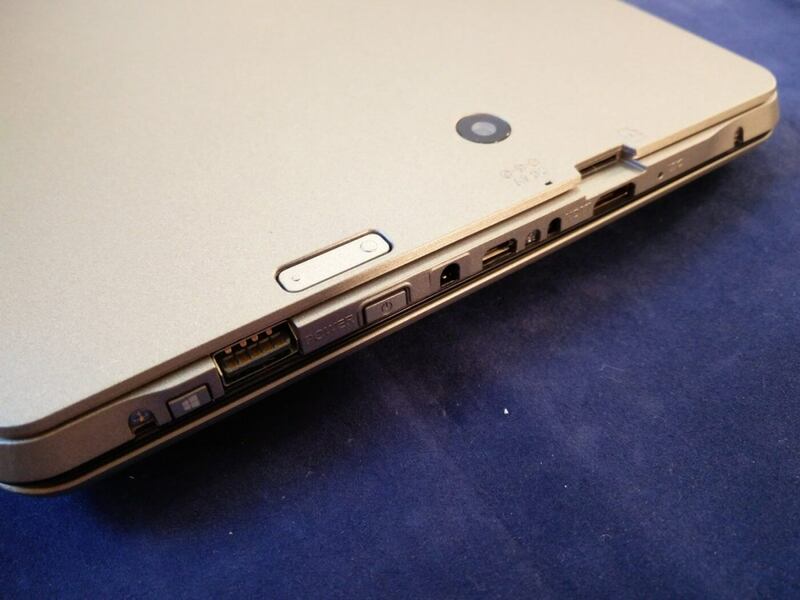 It’s a bit chunky, the rear of the keyboard could be styled better and an extra USB port would be handy. The EliteWin S 11KT is available from Amazon for GB£249 and the BravoWin S 10KR is at IdealWorld for GB£189. Thanks to Venturer for the loan of the EliteWin S and there’s an unboxing video below. Despite seemingly endless complaints from customers, it still isn’t gone even though the free period has passed. Now the company is finally relenting and removing the nagware from both Windows 7 and 8.x. Let’s face it, you’re either already on Windows 10 or you’re sticking with version 7. people never saw much middle ground with 8.x. Now those sticking with any older version will no longer need to periodically curse and close that window., and it only took until two months after the offer ended. Microsoft Knowledge Base (KB) article 3184143 can be checked for more information. If you choose to ignore the update then it’s still possible to get the free upgrade if you’ve had a change of heart. 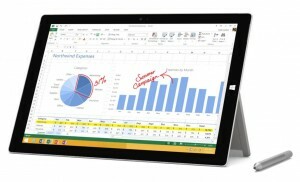 Microsoft and small Windows devices are in a difficult space. There’s no doubt that for serious work, a full desktop or laptop is needed, whether based on an Apple or Microsoft OS. When it comes to tablets and phones, Windows is away in the distance behind iOS and Android. Into this place comes the Venturer 2-in-1 Mini Windows Notebooks, consisting of the BravoWin 10KT at GB£149 and the EliteWin 11KT at £199. 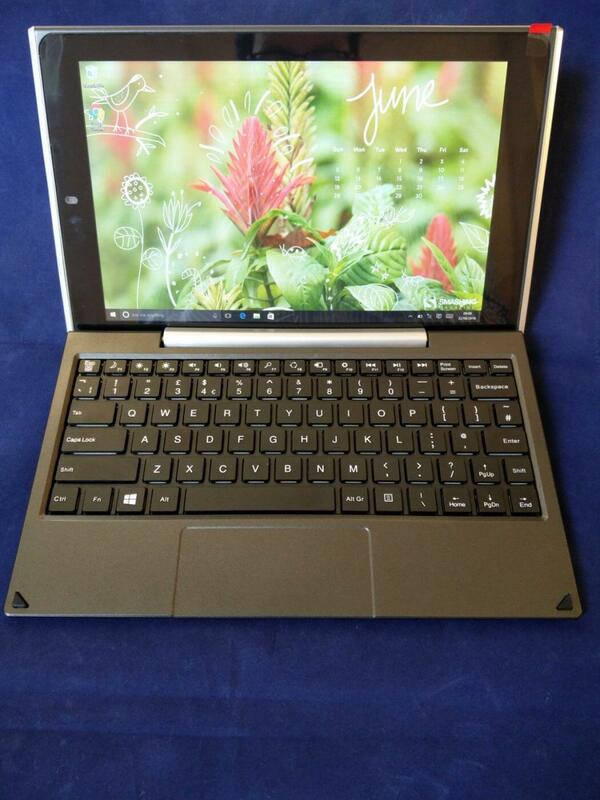 These are hybrid devices, capable of switching between tablet and notebook mode by detaching the keyboard. The main difference between the two models is the screen size (10.1″ 1280×800 v. 11.6″ 1366×768) and here we have the little brother, the BravoWin. I’d never heard of Venturer before but they’re a Hong Kong-based outfit so let’s take a look. As a hybrid, the BravoWin comes in two pieces, namely the screen and the keyboard, which come together by slotting the screen into a hinge on the keyboard. The overall dimensions are roughly 26.6 cm by 16.8 cm by 2.4 cm when closed up with a bit of an air gap between the keyboard and screen, though it tapers towards the front. The tablet itself is 1 cm thick. 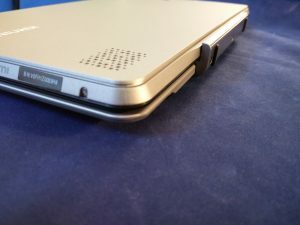 Opening the BravoWin as a notebook, the hinge rotates downwards to raise the rear of the keyboard up for a slight slope. A soft felt pad along the hinge protects the surface and while the keys on the keyboard are quite small, they do travel nicely. There’s a small button-less touchpad at the front too where double tapping on the left and right side of the keyboard simulates the mouse buttons. While beauty might be in the eye of the beholder, the BravoWin is no looker. It’s two tone plastic, part dark gray, part silver with buttons, speaker grilles and ports all over the place. Well, not quite everywhere; most are located on one end of the tablet. There’s an HDMI mini, micro SD slot, DC power in, micro USB port, 3.5mm earphone, power on/off button, USB 2 port and Windows button. The BravoWin can be charged both via the micro USB and the DC power in, with a PSU supplied in the box. On the back of the tablet, there’s volume up / down controls and reset button. There’s nothing on the keyboard which is a pity as an extra USB port or two would have been handy. In terms of build quality, it’s a bit of a mixed bag. 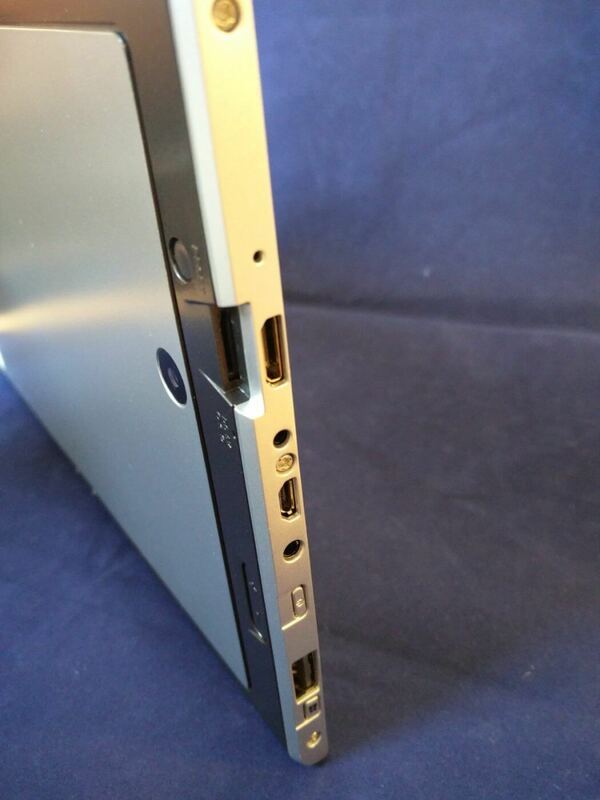 The keyboard and keyboard hinge seem quite sturdy. The tablet itself is plastic and it creaks a little in use. It’s not flimsy but it’s not tremendously reassuring either. Having said that, the promotional material extols the BravoWin’s drop resistance, claiming that it’ll survive a drop from 1.2 m. I didn’t test this….. The 10.1″ 1280×800 screen is perfectly acceptable and possibly quite a bit better than some I’ve seen recently. It does suffer a little from backlight bleeding around some of the edges, but it’s most noticeable around the hinge when the notebook is booting and the screen is black. It’s not something I’d worry about in day-to-day use, though. In terms of touch, I found the screen responsive and at times, I ended up using the touchscreen more than the touchpad. The processor is an Intel Atom Z3735F quad-core clocked at 1.3 GHz (boosts to 1.8 GHz) with 2 GB RAM and 32 GB (28 GB reported) of storage and there’s around 16 GB of space free so the micro SD slot is going to come in useful – it will take cards up to 64 GB. Windows 10 Home is installed, though it’s only the 32bit version despite the 64-bit processor. There’s 11n Wi-Fi and Bluetooth too. Performance is perfectly adequate for what you might call undemanding tasks – surfing the web, watching YouTube, playing Cut The Rope – and you can have a few apps open before switching apps slows it down. Obviously this depends on the apps you are using and the BravoWin is no Surface Pro 4, so adjust expectations accordingly. Regardless, I found it very usable. Battery life is rated at 8 hours and I got over six hours one day without completely exhausting the battery. The 2 MP cameras are a bit disappointing (tablet cameras usually are) and I couldn’t get the front-facing camera to work in the standard Camera app – the app kept crashing. It did work fine in Skype so it’s not a hardware problem in itself. Cortana wasn’t very happy with the microphone either, complaining about low volume. The microphone is positioned on the end of the tablet along with the ports and wasn’t very good at picking up sound unless you were quite close to the mic. My biggest problem though was with the keyboard and touchpad, and while this sounds like a break-up letter, the problem was me. I’m a man with big hands and I really did not get on with this keyboard. Technically it worked fine but I was constantly pressing the wrong keys, hitting the touchpad when I didn’t mean to and so on. 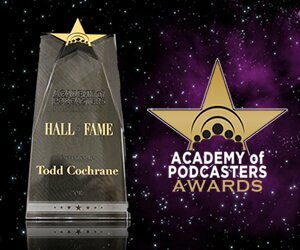 Probably a better choice for children or people with smaller hands than mine. The BravoWin is the first tablet I’ve used with Windows 10 and it’s certainly much better than its OS predecessors. I still get frustrated at the hybrid nature of Windows 10 at times, with it seemly unable to decide whether it’s a desktop or tablet operating system. Still, this is hardly the fault of the BravoWin so we’ll move on. Coming to the end of the review, it’s difficult to place the Venturer BravoWin in the marketplace. It’s competing both against Windows laptops and notebooks, and against Android and Apple tablets. It’s not easy to pigeonhole the BravoWin and identify the best use cases, though the obvious ones are people who need Windows on a device strong enough to throw in a bag without worrying. Sounds like a student to me. Let’s state this plainly: the BravoWin is a cheap small robust hybrid notebook running Microsoft Windows 10. If that’s what you need and you don’t have much cash, then take a look as it fits the bill nicely. People with large hands might want to check out the bigger EliteWin. Both the BravoWin and the EliteWin are available from Amazon and other good retailers with an RRP of GB£149 and £199 respectively. Thanks to Venturer for the loan of the BravoWin and if you like the wallpaper, check out Smashing Magazine’s monthly selection. A lot has been made about Microsoft’s latest operating system Windows 10. Many people prefer it over the operating system it replaced, though that isn’t necessarily saying much. The big problem people have with this latest platform is how much Microsoft is pushing it, and doing so hard. The latest problem that Microsoft’s relentless pushing has caused happened to professional gamer Erik Flom, and it was live on the game streaming site Twitch. This isn’t the first time such an incident has occurred, we recently saw during a TV news broadcast when the weather map was suddenly overlaid by a prompt to upgrade to Windows 10. While that incident was taken good-naturedly by the meteorologist, this one did not meet with the same reaction. There was cursing involved and video of the whole incident has gone viral thanks to Reddit. In this case, it was not a message prompting the upgrade, Flom already was using the OS. But getting it doesn’t solve the problem of Microsoft inserting itself into people’s lives. 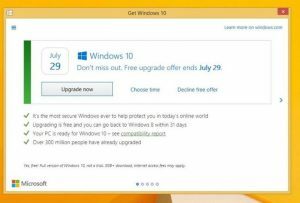 Updates to Windows 10 can also be forced. There’s an obvious reason for that — security vulnerabilities. But as security firm Sophos points out “Unfortunately, cyberattackers don’t need to rely on zero-days, where a security patch isn’t available, because so many users remain unprotected against security bugs with fixes that are available – and have been for weeks, months, or even years”. While Microsoft pushing these updates can be looked at as a good thing, perhaps there could be a better way, such as doing so when a PC is inactive.